Hard Rock International recently announced that Colombian music sensation, Juanes is the newest partner in their Artist Spotlight Merchandise series. Proceeds from the sale of his specially-designed limited edition tees will benefit his Fundacion Mi Sangre, a non-profit organization in Colombia that promotes youth empowerment and positive social change, using music and art as the tools for creating visible, lasting social transformation. I had the opportunity to attend the press conference in New York City, where attendees were shown a tear-jerking video about Fundacion Mi Sangre and the children it helps. (I don't know if there was a dry eye in the room.) The highlight, though, was when Juanes, the first all-Spanish language Latin artist in the series, appeared on the stage (I heart him!). He's donated performance memorabilia to be displayed at Hard Rock locations, and he explained why each piece was important to him. The pants in the picture above (with my Jeffrey Campbell pumps) were from one of his early performances and were my favorite item. Juanes also introduced his limited-edition tees— a navy blue one for women with a pink and blue design and a black one with men with a neon green and blue design (both available for $26 at various Hard Rock locations and www.hardrock.com). I'm partial to the men's tee... possibly because it pairs perfectly with a mojito (or three). Muddle mint and cucumber syrup. Add gin, elderflower and lime juice and shake with ice. 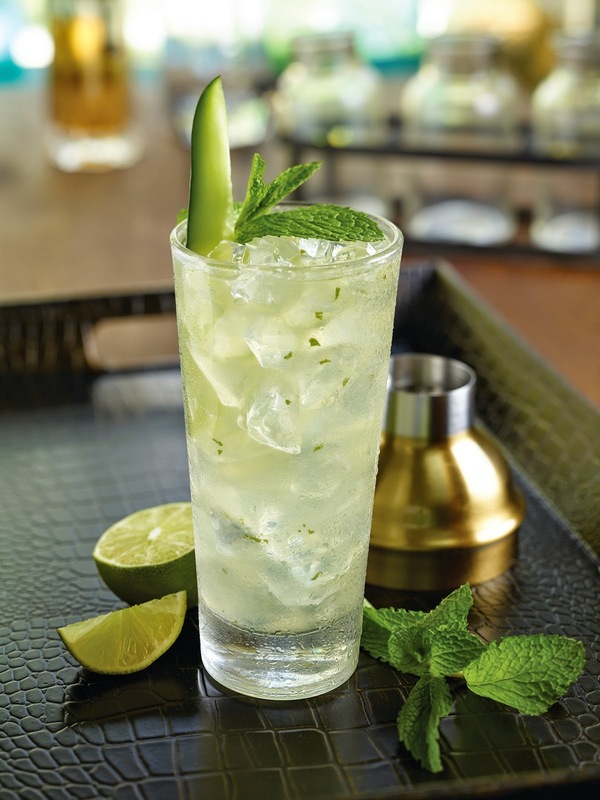 Pour into glass then top with Sierra Mist, mint sprig and cucumber spear. Because this is Shoes N Booze, I can't forget a shoe pairing. 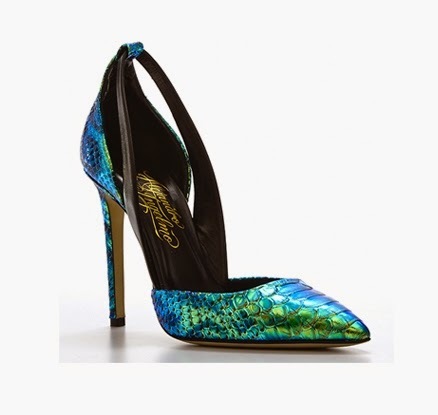 This iridescent "Flavia" pump by Latin shoe designer, Alejandro Ingelmo gets my vote. Just make a few adjustments to the men's tee to give it a feminine look (like cutting in a v-neck) and throw on your favorite jeans. As the founder of The League of Extraordinary Latinas, an organization created to inspire and empower young Latina women, it really touches my heart when artists such as Juanes use their platform for such amazing causes. Cheers to this outstanding individual who is changing the world, starting with his (and my) country, Colombia. I hope you had a Happy Hispanic Heritage Month!